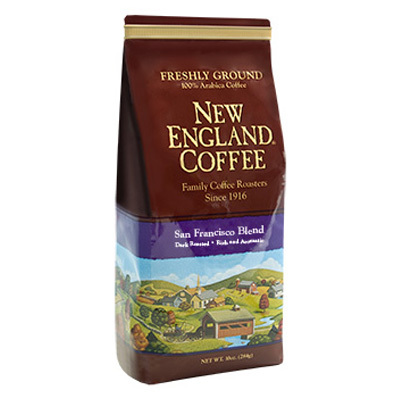 Rich, aromatic French Roast with the distinct flavors of medium-roasted coffee from the East Indies and Central America. I love the frisco blend, but my publix stop carrying it. I just found this blend at Harris Teeter in High Point NC! I was looking for something rich to use in my Bialetti 9-cup pot. So far, the first pound of the San Francisco blend has come out perfectly every time. It is almost as if I were having a wonderful Cafe au Lait in New Orleans. I get lost in the robust dark chocolate notes made richer yet with just a bit of fresh cream. Yumm! Thank you. I love this flavor and Publix stopped selling it. Very disappointing. I’m glad I have the option of ordering it here but miss the buy one get one. Found this at my local Walmart, love it. Very tasty and doesn’t give me the caffeine shakes. However, they haven’t had it in a couple months now. Hoping it’s not going to be discontinued in store.